My grandmother taught me to crochet many years ago when I was 8. I am very grateful to her. It seemed she was always crocheting something for someone. I used to always feel like I had to have a pattern to crochet. Then I started crocheting scarves and blankets without a pattern. 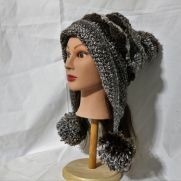 After many years I started branching out and started crocheting many things without a pattern. Sometimes I would see something I liked, but there were things that I didn't care for, so I would make up my own pattern. 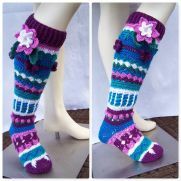 Since then I have designed a number of patterns to sell. I have many other ideas in my head. Some I have made, but have not taken the time to write out the pattern where others could understand. I have a couple that I have started, but other projects have gotten priority. I love seeing what other people have made. There is some beautiful work out there. 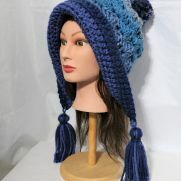 Frozen Snow Hat Warmer 6 with Tassels. 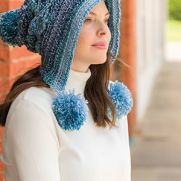 Lacy Pompom Snow Hat featured in Crochet! magazine.